CHICAGO – September 27, 2018 – Associated Bank announces the completion of a $50 million syndicated construction and acquisition loan for a 261-unit multi-family project in Chicago’s South Loop neighborhood. 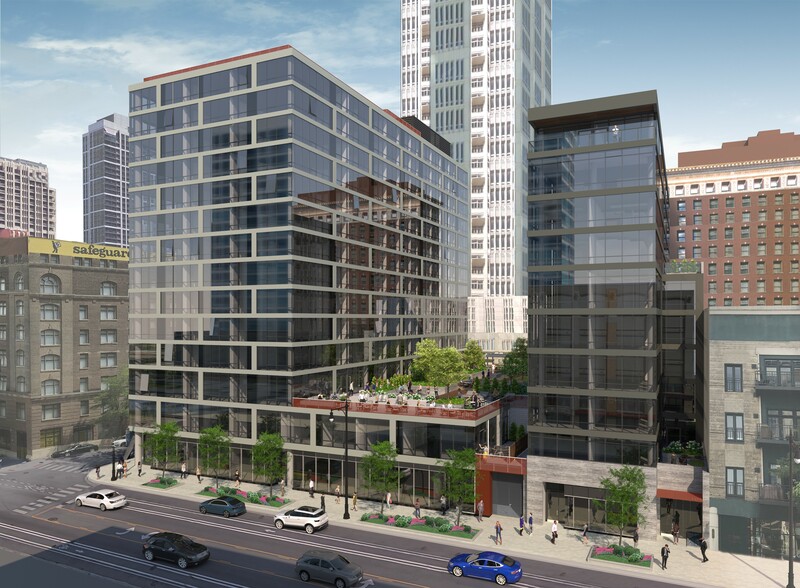 The project, under development by CMK Companies, will consist of two connected buildings located at 51 East 14th Street and 1419 South Wabash Avenue, Chicago. The complex will also include 10,410 square feet of retail space and 95 parking spaces. Construction should be completed by August 2019. As lead arranger and administrative agent, Associated Bank is holding $20 million of the loan with the remainder syndicated to Great Southern Bank, United Community Bank and First Community Bank. Associated Bank also financed CMK’s multi-family project at 1333 South Wabash Avenue which CMK completed and sold in 2017. Founded in 1995, CMK Companies is a leading real estate development company with a completed and active portfolio of more than $3 billion. The company has received numerous awards for their innovative residential developments from the American Institute of Architects and others, and multiple “Distinguished Building” awards from the Chicago, Illinois and National chapters of the AIA. Senior Vice President Elizabeth Hozian of the Commercial Real Estate division of Associated Bank managed the loan and closing. Associated Banc-Corp (NYSE: ASB) has total assets of $34 billion and is one of the top 50 publicly traded U.S. bank holding companies. Headquartered in Green Bay, Wisconsin, Associated is a leading Midwest banking franchise, offering a full range of financial products and services from over 200 banking locations serving more than 100 communities throughout Wisconsin, Illinois and Minnesota, and commercial financial services in Indiana, Michigan, Missouri, Ohio and Texas. Associated Bank, N.A. is an Equal Housing Lender, Equal Opportunity Lender and Member FDIC. More information about Associated Banc-Corp is available at www.associatedbank.com.